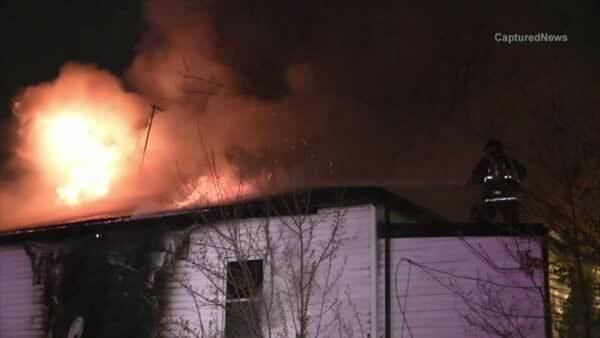 CHICAGO (WLS) -- Firefighters were forced to make an emergency exit while battling a blaze on Chicago's South Side. Flames broke out at a two-story house near West 51st Street and South Union Avenue in the city's Back of the Yards neighborhood around 3:45 a.m. Monday. As a safety precaution, crews were forced to fight the fire from outside the home. The fire was extinguished just before 4:15 a.m.
An investigation is underway to find out what sparked the fire.